It has been about five years since I last tested the Durango three-row SUV from Dodge and brother, that’s too long. 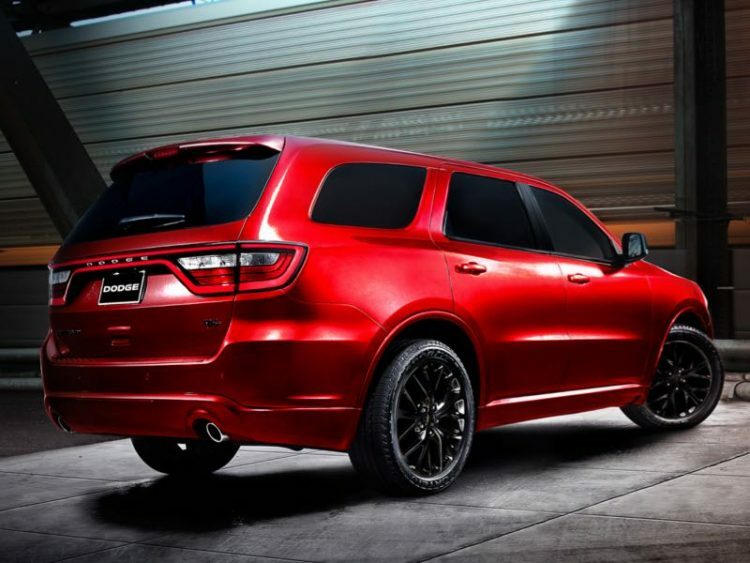 When asked about which family sport ute I would recommend to folks the Durango is always near the top of my list and now my wife has joined the Dodge fan club as well. “This is the SUV I want, this vehicle right here,” she exclaimed after a few runs around town. 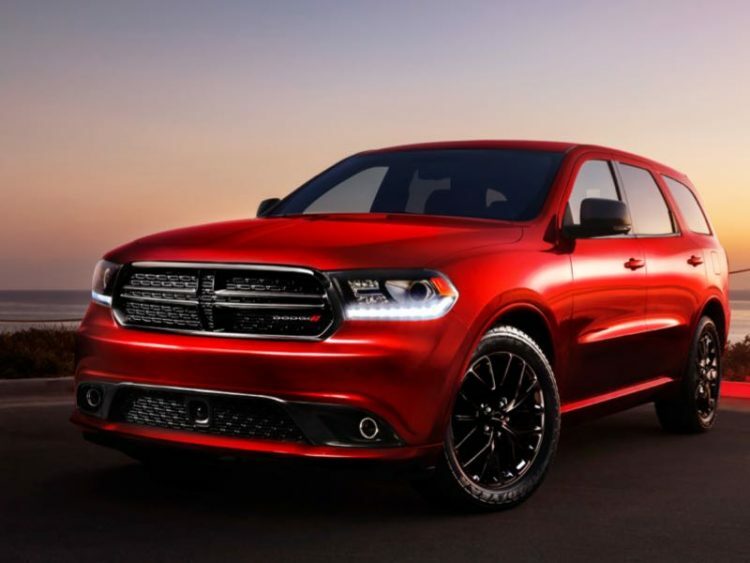 Specifically, our tester was the 2016 Dodge Durango R/T in rear-wheel drive with Nappa red leather ventilated seating. And of course there was a HEMI under the hood. 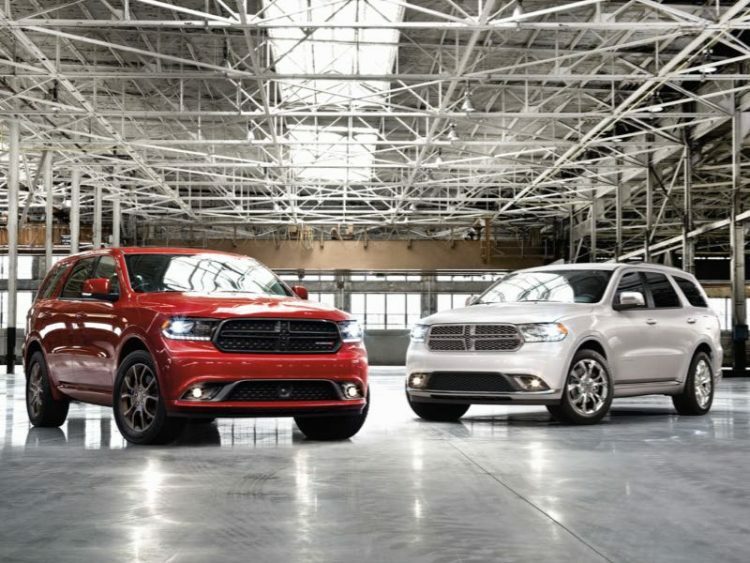 The newest Durango arrived as a unibody chassis when Dodge engineers rebuilt her at the beginning of this decade. They used a chassis that was shared with then corporate partner Daimler and this architecture is something to rave on about. Smooth, solid, stable, and the driving experience is quiet and comfortable. 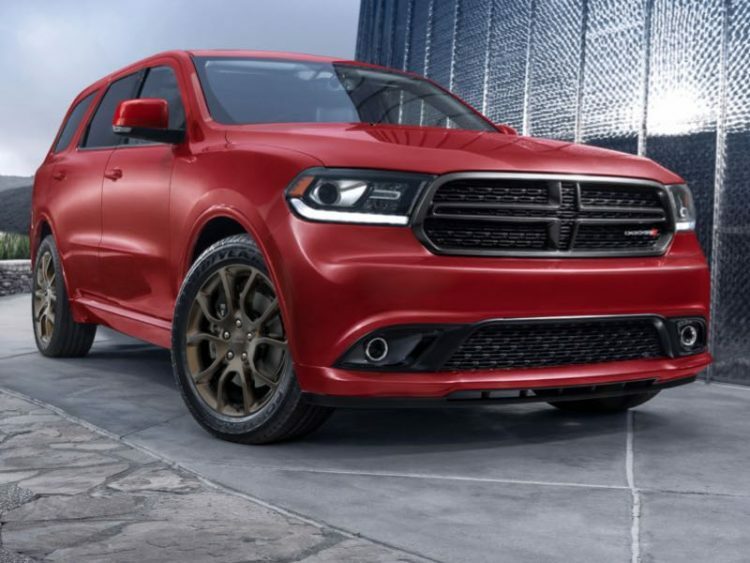 The last Durango we tested had the then new 3.6-liter Pentastar V-6 engine but our recent press fleet model featured the gutsy 360hp 5.7-liter V-8 HEMI that generates 390 lb. ft. of torque and allows for towing up to 7,400 pounds. The engine is mated to a standard eight-speed automatic transmission with a rotary shift knob in the center console and steering wheel paddle shifters. There is an Eco mode available to drivers (snooze) and new for 2016 is a standard Sport mode that really livens your driving experience up by modifying steering, shift, and throttle calibration. 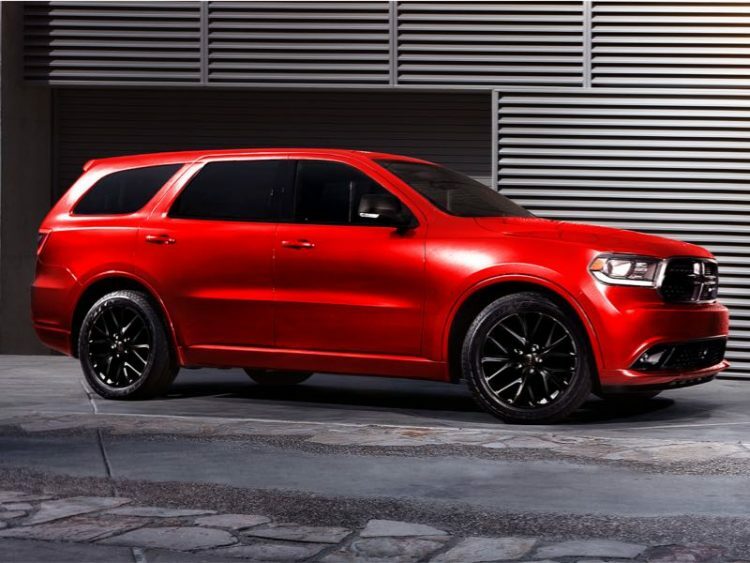 Dodge offers Durango is rear- or all-wheel drive and buyers can choose from SXT, Limited, Citadel, and R/T trim levels. Our R/T tester arrived with all of the exterior chrome body colored and sporting some gorgeous low gloss granite crystal aluminum 20-inch wheels with performance tires. R/T models feature a slightly lowered suspension stance and a unique sport-tuned suspension along with that luscious Nappa leather interior. 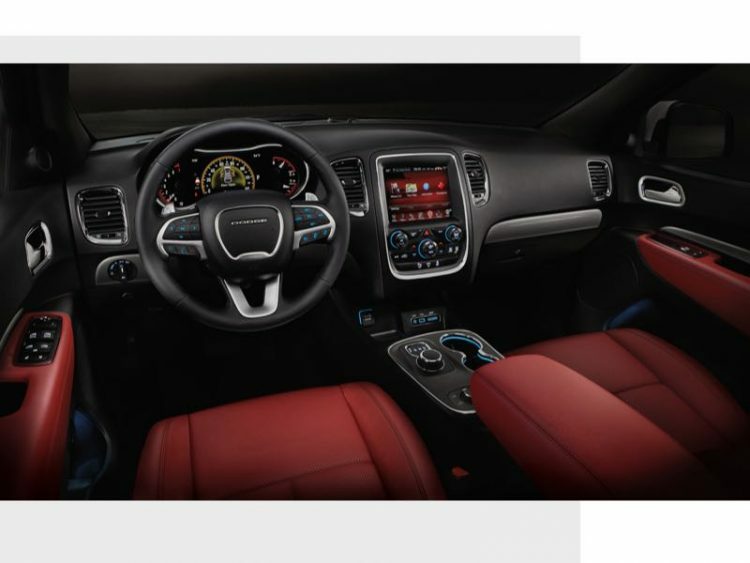 While the Durango features a hefty list of standard equipment (along with all of the latest safety technology) our tester did arrive with a few add-ons that were well received including the second row captains chairs (making for easy third row seat access) as well as the Beats premium audio system and second row Blu-ray DVD entertainment center with dual monitors and independent auxiliary inputs. Fuel economy for the HEMI arrives at just 14 mpg city and 22 mpg highway. Despite some fuel conservation technology (such as cylinder deactivation under lighter driving conditions) Dodge still has a way to go in attaining upcoming strict fuel economy standards. My guess is that the HEMI may disappear once again in the not too distant future. Or perhaps Dodge engineers can construct fuel cells or battery cells of a hemi-spherical shape. 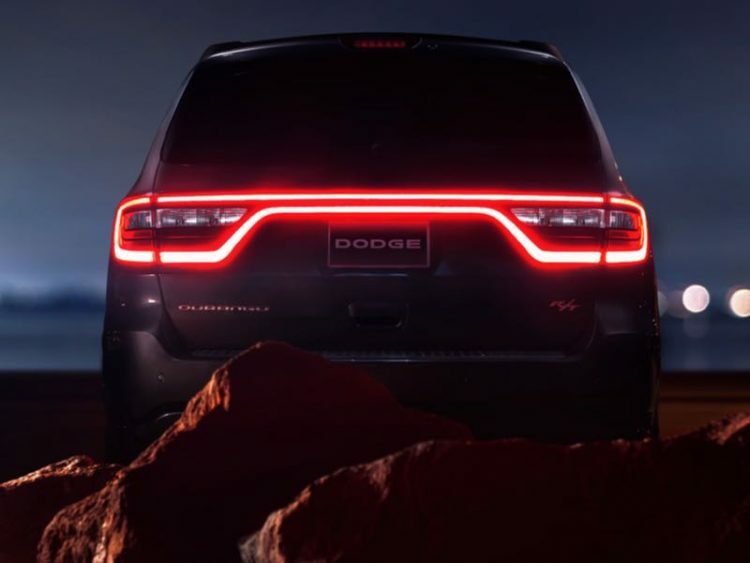 Pricing for the 2016 Dodge Durango starts at just $30,495 for a base 2WD model with V-6 engine that is more than capable of hauling families and cargo in comfort and safety. Our R/T tester arriving with a final window sticker of $45,980 fully loaded.